Care for your teeth! Have you ever been frustrated opening a bottle, container, prying open a lid, or ripping open a package with your hands? 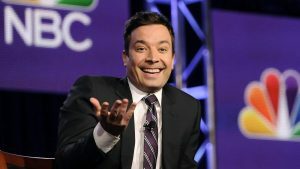 Jimmy Fallon, host of NBC-TV’s popular “Tonight Show” tried prying open a tube of scar tissue repair gel with disastrous results. For the 40 year old comedian, what happened next wasn’t funny: when trying to open the gel, Fallon chipped his front tooth, on top of another medical problem, a serious finger injury he suffered a few weeks resulting in trying to open the scar cream. Moral of the Story… Always use the right tool for the job… and your teeth are never the right tool! . If you would like more information about tooth restorations and orthodontic treatment or to schedule a complimentary consultation , please contact Honig Orthodontics in Middletown and Newark De. We look forward to improving your smile!